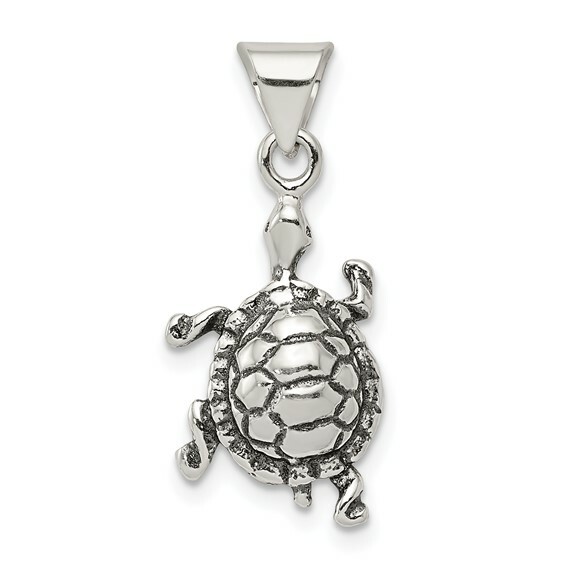 Sterling Silver Antiqued Turtle Charm has an open back. Item size: 11/16 inch tall by 7/16 inch wide. Jump ring fits up to a 3mm wide chain. Weight: 1.25 grams. Import.